When Good Time Charley's swung open its doors in 1979 and the first student walked in, a campus tradition was born. We quickly became “the place to be” for both faculty and students. Over the last 40 years, a lot in Ann Arbor has changed, but a lot has stayed the same at the corner of South University and Church St: huge outdoor patio, hand-rolled Styx & Twists, Long Island fishbowls, great burgers and fries, and the original "Shooter List". Easy to walk to, or find parking in the 800 space structure 1 block away on S Forest. If its your first time, or your 100th, is always a GREAT time at Good Time Charley's. See you soon! Hand twisted bread sticks stuffed with cheddar and pepperjack cheeses, covered with sesame and poppy seeds. Hand twisted bread sticks stuffed with mozzarella and pepperoni, topped with garlic and parmesan. Why not try both? Half Count Twists and half Pepperoni Styx. 2 pounds of fries piled high. Superior, beer-battered, thick-sliced, onion rings. 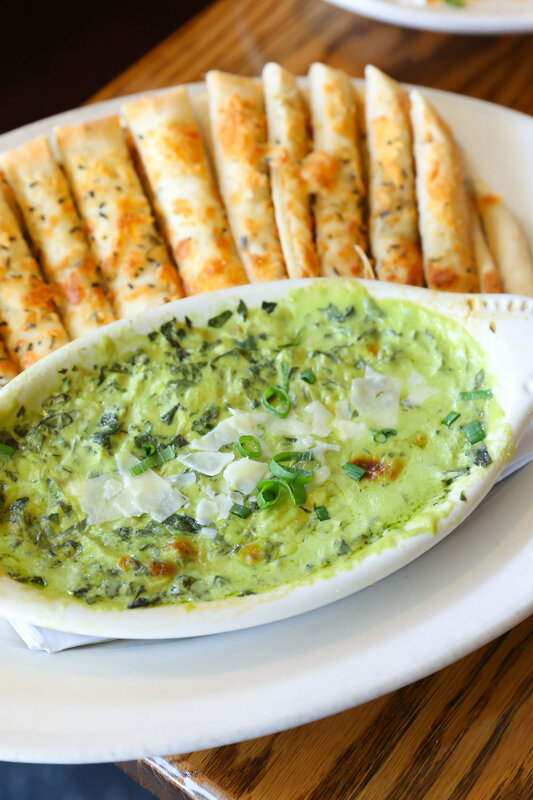 A favorite appetizer, our homemade dip topped with cheese and baked. Served with freshly baked parmesan flatbread. Crispy tenders served with fries and a side of ranch. Traditional breaded mozzarella sticks served with marinara sauce. A massive order of tortilla chips, refried beans, cheddar and pepperjack cheeses, lettuce, tomato, onions & jalapeños. Large wings and drumettes tossed in 1 of 7 sauces. Traditional Buffalo, BBQ, Atomic, Mango Habanero, Garlic Chili, Teriyaki, Plain. Beware of Atomic please! One sauce per 8 wings. All burgers come with fries included. Double layer of American cheese, lettuce, tomato, onion, sliced pickles and thousand island dressing. Our namesake burger consists of a fried onion ring atop bacon, cheddar, lettuce, tomato, and BBQ sauce. A tasty burger highlighted by our own beer-battered fried avocado. With lettuce, tomato, spicy mayo and provolone cheese. Which came first? The fried egg, then the bacon, lettuce, American and pepperjack cheeses, mayo, and a thick half-pound burger. Melted swiss, bacon, lettuce, tomato, mayo, and avocado on a brioche bun. A half-pound burger topped with blue cheese, grilled mushrooms, and doused in A1 steak sauce. All sandwiches and wraps come with fires included, unless otherwise noted. Grilled chicken, melted swiss cheese, bacon, lettuce, tomato, mayo, and smashed avocado. Diced breaded chicken tenders, shredded lettuce, diced tomatoes, American cheese, and ranch dressing, wrapped in a warm tortilla. Chicken tenders tossed in buffalo sauce with lettuce, tomato, pepper jack cheese, & bacon, wrapped in a warm tortilla. Grilled chicken, shredded lettuce, parmesan, Caesar dressing, wrapped in a warm tortilla. Three types of cheese: Swiss, American, and cheddar, served on grilled sourdough. Spring lettuce mix, grape tomatoes, shredded carrots, cucumbers, red onion, button mushrooms, and croutons. Romaine hearts, shaved Parmesan, croutons, tossed in Caesar dressing. Chopped romaine, tomato, red onion, avocado, blue cheese, bacon, grilled chicken, and sliced egg. Chopped romaine with barbeque chicken breast, southwestern relish (corn, black beans, tomatoes, jicama, cilantro) cheddar and pepperjack cheese topped with fried tortilla strips. Come with fries included, unless otherwise noted. Crown Royal, peach schnapps, orange juice & Red Bull. Stoli Strasberi, peach schnapps, melon liqueur, sour & Sprite. Malibu coconut rum, silver rum, almond liqueur, sour, orange juice, & grenadine. Patron Silver, Cointreau, lemonade & Red Bull. Absolut Mandarin, Stoli Strasberi, Stoli Blueberi, citrus vodka, lemonade, strawberries, with a Grand Marnier float. Coconut rum, 151, Island Blue Punch, sour, orange juice, pineapple juice, topped with Sprite. Absolut Mandarin, citrus vodka, 151, strawberry liqueur, sour, cranberry juice & Sprite. Grey Goose, Bombay Sapphire, Patron Silver, Bacardi Superior, Cointreau, sour, & Coke. Absolut Razberi, raspberry pucker, black raspberry liqueur, cranberry juice & Sprite. Pomegranate vodka, Dragonberry rum, coconut rum, pineapple juice, cranberry juice & Sprite. Jack Daniel’s Tennessee Whiskey, triple sec, sour & Sprite. Bacardi Limón, raspberry pucker, 151, lemonade, Sprite & black raspberry liqueur float. Southern Comfort, vodka, almond liqueur, sour, orange juice, pineapple juice, and Sprite with a grenadine float. Absolut Wild Tea, Absolut Raspberry, peach puree, lemonade, and cranberry juice. Bacardi Dragonberry rum, blueberry vodka, strawberry pucker, sour, pineapple juice and Sprite. Citrus vodka, peach schnapps, strawberry liqueur, sour and Sprite. Bacardi Limón, blue curacao, melon liqueur, pineapple juice and Sprite. Bacardi Limón, melon liqueur, black raspberry liqueur, pineapple juice, and cranberry juice, topped with Sprite. Melon vodka, grape vodka, Island Blue Punch, cranberry juice, pineapple juice & Sprite. Ciroc Peach, Ciroc Berry, sparkling wine, strawberry puree, mango puree & soda water. blueberry, strawberry, and grape vodka, blue curacao, lemonade and sprite. Seagram's 7 whiskey, raspberry pucker, almond liqueur, lemonade, pineapple and cranberry juice. Mango vodka, peach schnapps, peach puree, lemonade, white grape juice. Jack Daniels, Jim Beam, raspberry puree, cranberry juice and lemonade. Black raspberry liqueur, sour, and Sprite. Triple Sec, cranberry juice & Sprite. Triple Sec, sour, orange juice & Coke. Blue curacao, sour, & Sprite. Triple Sec, sour, orange juice & cranberry juice. Triple Sec, sour, pineapple juice & Coke. Melon liqueur, sour, pineapple juice, & Sprite. Triple Sec, piña colada mix, pineapple juice & Coke. We’re now introducing a way to keep your mug on site in our new storage case. Sign up in the form below to get on the list and we’ll let you know when a spot opens.